Have a client presentation in an hour? Big time investors coming over? Impress them with our cozy, professional and high-end meeting rooms right in the heart of Boca Raton. The survival of a business hinges on its reputation. And as Socrates once said “The way to gain a good reputation is to endeavor to be what you desire to appear”. Indeed, in business and in life, how you appear is how you’ll be perceived. Nestled in one of the most picturesque locations in Boca Raton, our luxurious meeting spaces will help your business project the right image. Your clients will surely love the professional ambience inside against a backdrop of blue Florida sky and the lush greenery outside. View pictures of our office spaces and meeting rooms. Not only for your clients, our spaces are also ideal venues for meetings with your team or business partners. It’s relaxing beach vibe will definitely get those creative juices flowing. Highly regarded business community. Scenic views. Great amenities. These are just some of the reasons why Boca Raton is one of the best conference locations in the US. The city boasts a balance of business and pleasure. It’s large community of business owners and entrepreneurs offers an exciting opportunity for networking. While the high-end restaurants, golf courses, stunning beaches and nature parks offers a much-deserved reprieve after a day of brainstorming. Now, imagine all of that within just a stone’s throw away. 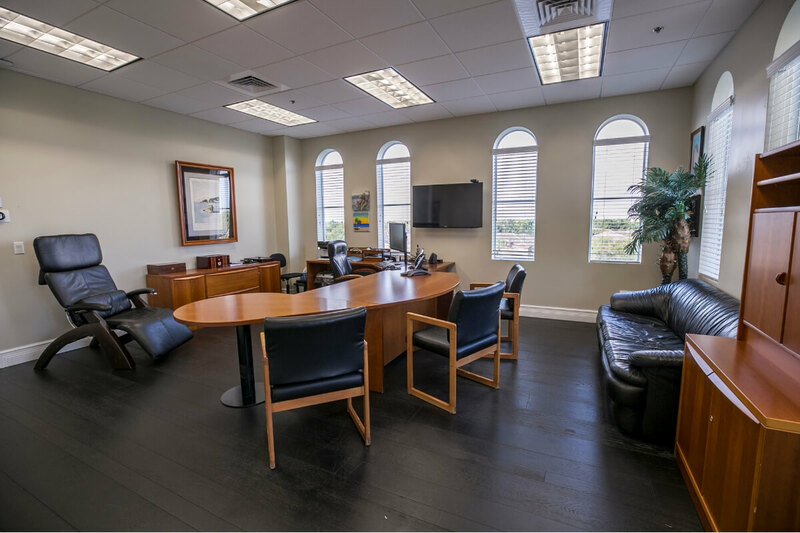 Yes, our business meeting rooms for rent is just ten minutes from the town center on the Boca Raton/Delray Beach border. It’s a convenient location in the heart of the business district with a relaxing view of the ocean – the perfect place to hold your meetings. Take your business to the next level with an upscale meeting space overlooking one of the best views in Florida. We take local conference room rentals in Boca Raton up a notch with our wide array of amenities. We know each meetings are sacred. We are aware too of how outside noises can ruin it. That’s why we make certain that each rooms are fully sound insulated to ensure maximum productivity and concentration during your brainstorming sessions. When things get too intense, you can always go out for a short break in our contemporary lobby and soak in the glorious Florida sunshine while looking out at the blue ocean. More than aesthetics, our facility is also equipped with high definition cameras to keep you secured and safe 24/7. Enjoy free flowing freshly-brewed coffees with our coffee making machine in our well-equipped server room. We also have a color copier, scanner and other basic office necessities you’ll need to make your meeting a success. Whether you’re looking to impress a client for a couple of hours or conduct a regular weekly meeting with your team, our meeting rooms are perfect for your needs. We offer conference and meeting room rental as well as office space for a long term contract or by hour – even on a very short notice. Just get in touch with us and our representatives will be more than happy to answer your queries.